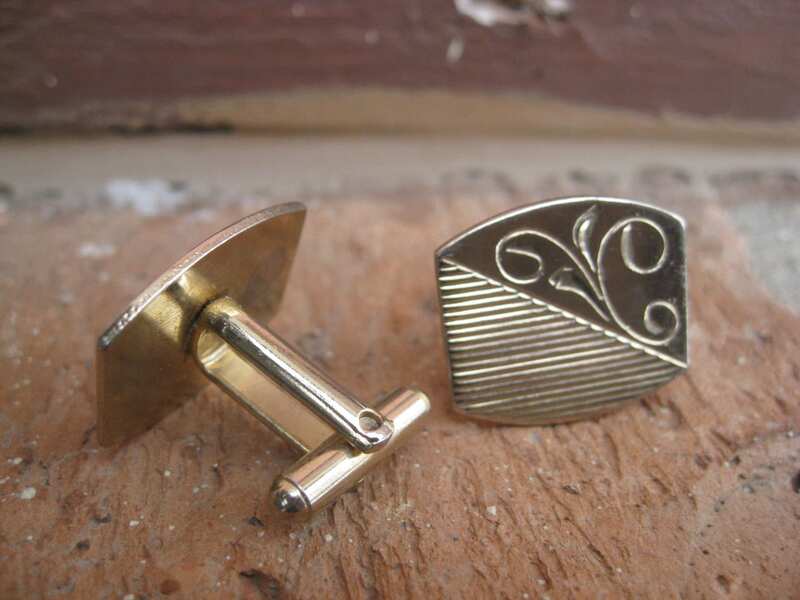 These vintage gold tone cufflinks are perfect for any man! 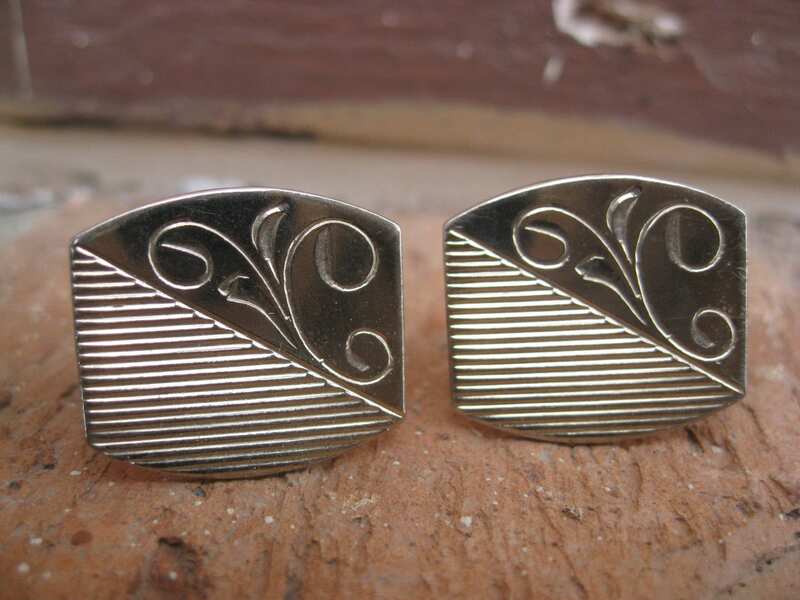 Each one features a rounded rectangle with a swirly vine pattern on one half, and etched lines on the other half. 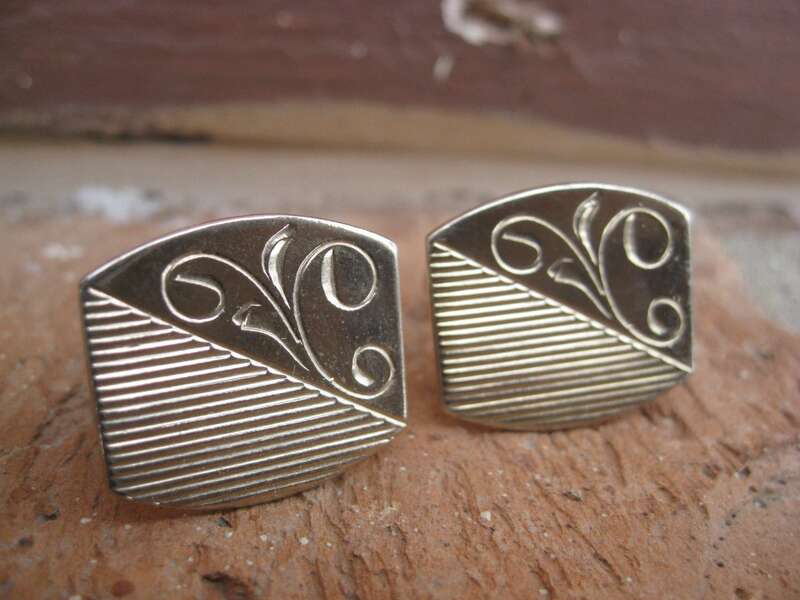 These are simple, yet elegant. They measure 3/4" x 7/8". 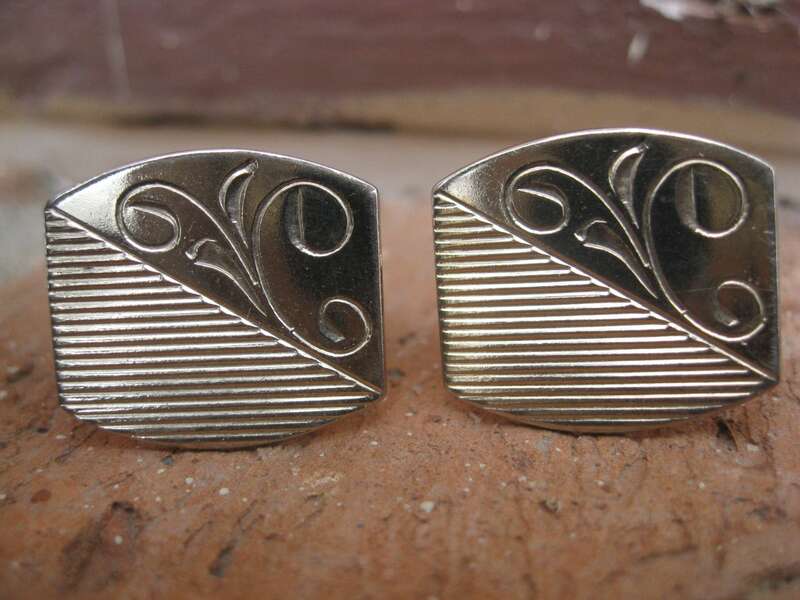 These were made in the 1970's. These are in good vintage condition.